Fans of Stephen King, as well as fans of mysticism will surely like the Stanley Hotel, located in Estes Park in Colorado, not far from the famous rocky mountain Park. Fans of the great writer’s talent probably know that it was in this hotel that Stephen King invented the plot for the novel “the Shining”, and then there was a shooting of a mini-series based on the novel. Perhaps because this historic hotel, which never happened was murder, was chosen… ghosts. However, even those who are indifferent to ghosts, wonderful rest in Stanley Hotel. Here you can enjoy a wonderful view from the Windows of the hotel, visit the chic restaurant of the hotel, which is called Cascades, play Golf, relax in the Spa Parlour and enjoy a delicious espresso with fresh pastries in the cafe Steamer, located in the garden of the hotel. The convenient location of the hotel will give you the opportunity not only to visit the famous rocky mountain national Park, but also to go hiking, fishing or climbing. The famous American horror writer Stephen King and his wife Tabitha lived in 1974 in boulder, Colorado. In late October, they spent the night in the mountain resort town of Estes Park, 65 km South-West of boulder. 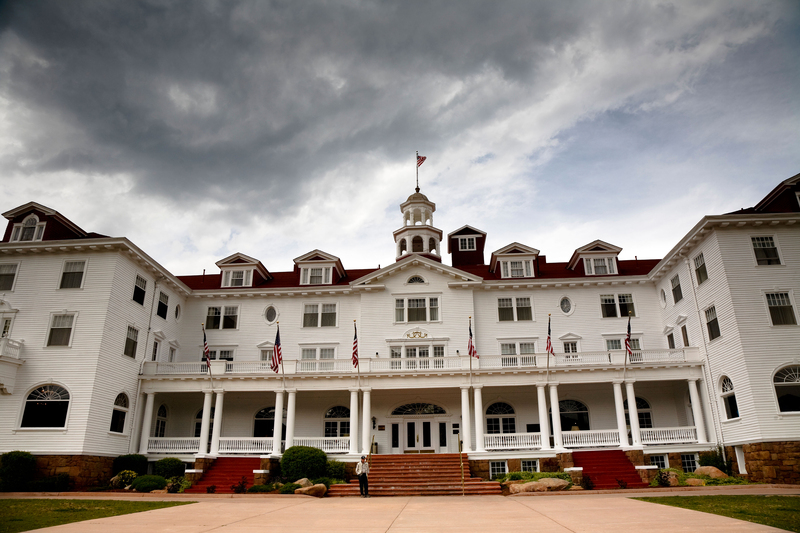 They settled in one of the 155 rooms of the historic Stanley hotel. As it turned out, that night – one of the last in the season – they were the only guests in this hotel. While the writer walked through the empty corridors, alone having dinner in a huge Banquet hall and plenty to communicate with the bartender, his imagination was played out in earnest. Going to bed, he already knew: he has the material for the next book. Although in King’s novel the hotel is called “Overlock”, this fictional hotel is exactly like” Stanley”: a majestic building with spacious verandas. Based on the novel, the overlook was built in 1909 – according to his prototype from real life. The hotel was built by Stanley, the inventor of one of the most common steam engines of his time, which was released in 1897. In 1903, Stanley came from Massachusetts to the Rocky Mountains to be treated for tuberculosis. He and his wife flora fell in love with the region and built this hotel six years ago. At the dawn of its glory, the hotel hosted many honored guests, including US President Theodore Roosevelt, who escaped from the Titanic Molly brown and Japanese Emperor Hirohito. In the book room 217 is not the usual one as there are terrible ghosts. In real life, Stephen king stayed in this room. Long before his arrival, something out of the ordinary was already happening here. In 1917, during a thunderstorm that left the hotel without electricity, senior maid Elizabeth Wilson walked around the room, lighting acetylene lamps. When she did it in the current room 217, the lamp exploded. Under the feet of the maid opened the floor, and she fell floor below. She survived, but she broke both her ankles. However, the guests of the 217th sometimes see the Ghost – usually clear, but sometimes objects or unpack suitcases movement. Room 217 is usually booked many months in advance. In General, most of the strange phenomena observed on the fourth floor: the sounds of children’s games in the hallway, a sudden power outage, the faces in the Windows. Gladly accepting the name “hotel Ghost”, employees of “Stanley” offers half-hour tour of “roads of ghosts”, visiting all the places where happened something extraordinary. In addition, once a month, particularly zealous Ghostbusters can take part in a five-hour study of paranormal phenomena with the help of special tools, such as electromagnetic field detectors.